Athens taxi driver | Contact us page! 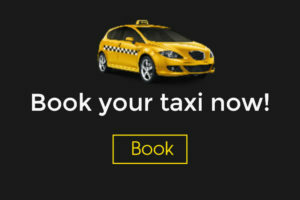 Looking for an Athens taxi driver? Here you can find as many as you want. We are Athenian taxi drivers and we are here if you want to contact us. Indeed, we believe in face-to-face deals and we love talking with our customers about their needs. Please feel free to contact us for any question or inquiry! For every information, price quote or little detail you might need to find out. Don’t just stay on what you read on this website. Indeed, we are expert taxi drivers eager and capable to provide any transfer service you might need at Athens City. So, whatever you want to ask us, do not hesitate! We would love to hear from you! Moreover, you can find us on Viber, messenger (at our Facebook page) or even email us! We provide 24/7 personalized customer support. In addition, we are in contact with our passengers during their transfers! At Athenian taxi, you will talk directly to the drivers. After booking, Giannis (our contact man) will give you your Athens taxi driver’s name and mobile phone. We do this in order to provide a smoother and on-time communication with you. Furthermore, at Athenian taxi, we believe in long-term customer relationships. In other words, we want you to come back to us next time you visit Greece. With this in mind, our taxi transfer services, payment methods, and policies are all customized in order to serve your every need. So, whether you have a question or need something you didn’t find on our website we want you to contact us! Finally, you can fill the booking form. Speaking about this, our booking form is not binding. So, you can fill it even if you are not 100% sure (just searching and checking prices). First, you will fill the booking form. Then, we will contact you to give you a price quote. After you agree at the price and the payment method, your taxi services will be booked. As a final point, your transfer at Athens City will be 100% guaranteed. Thus, you will have one less thing to worry about! Click here to go to our Booking form! Fill the General Contact Form above.